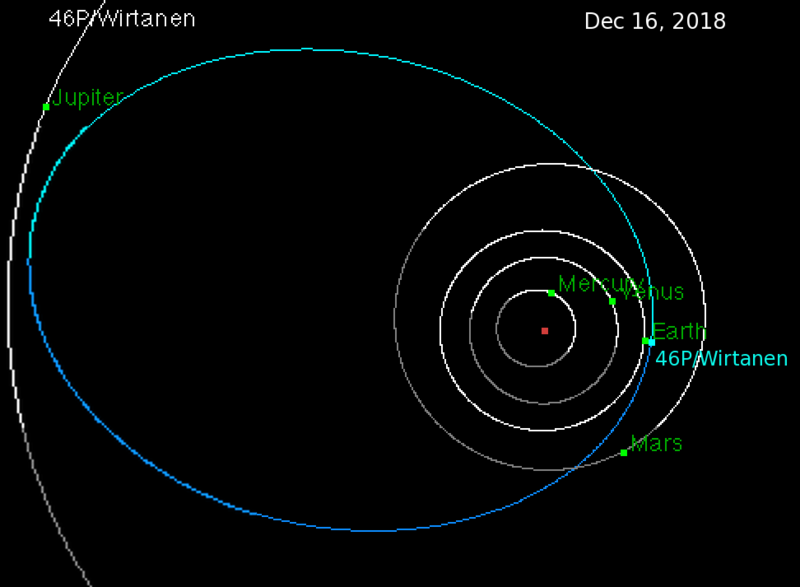 View of 46P/Wirtanen's orbit as seen from the North ecliptic pole with the comet and planets shown at the time of the comet's closest approach to Earth. From the JPL Small-Body Database Browser. Oblique view of the portion of comet 46P/Wirtanen's orbit around perigee, viewed from 20° above the ecliptic plane. The black circle and Earth symbol denote the comet's and Earth's positions, respectively, at perigee (Dec 16, 2018). 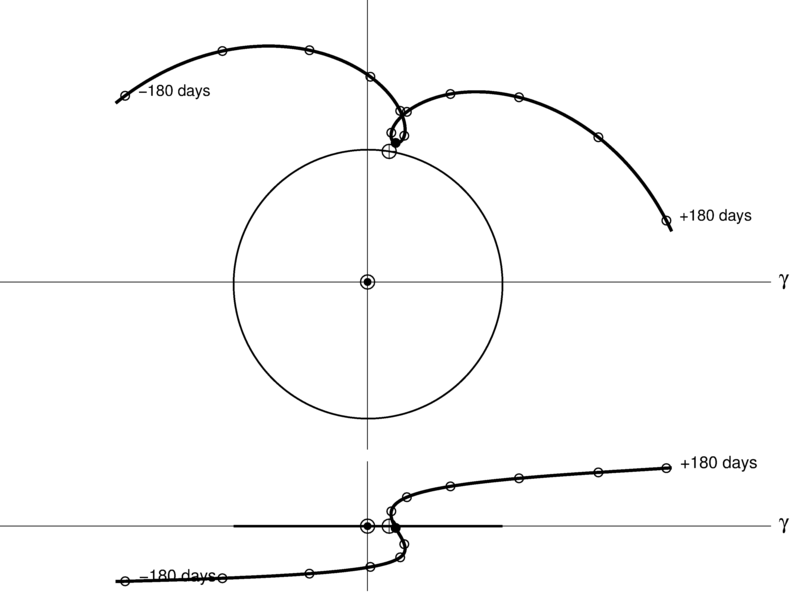 Tick marks at 15 day intervals show the orbit's position above or below the ecliptic plane. 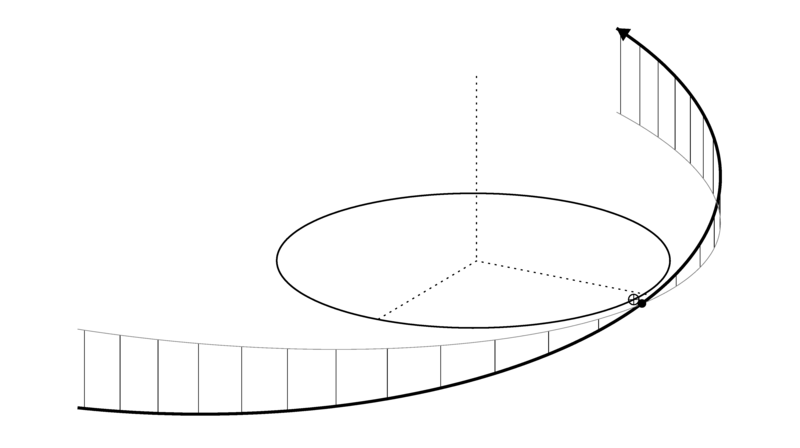 The orbit of comet 46P/Wirtanen around perihelion, in the Earth's co-orbital reference frame, as seen from above (top panel) and in the ecliptic plane (bottom panel). The black circle denotes the comet's position at perihelion (Dec 12, 2018) and the open circles show positions at 30-day intervals.